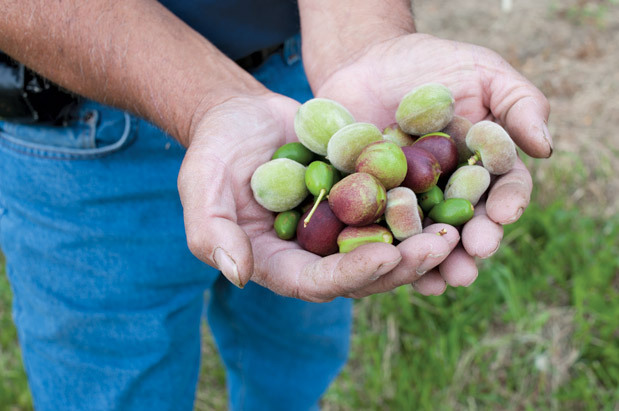 Collins Family Orchard experiments in sweet new tree fruits. Growing these trees is a precise science; they're produced by grafting a branch of one type of tree onto another. This is done by cutting a slit on the rooted tree and merging the different tree branch onto the slit. Then, the top of the tree is cut off so the new branch can grow. It takes between two and three years for the new tree to produce. Collins’ newest creation to come to fruition is the cotton candy apricot; high in fructose sugar, this is one extremely sweet white apricot. This month, fruit fanatics can snack on delicious nectarcots, which look like an apricot, but have the inside texture of a juicy nectarine. Other fruit mixes include the aprium (apricot and plum mix), the nectar-plum and five different types of pluots, available at local farmers markets, including Ballard on Sundays, Queen Anne on Thursdays and Phinney Ridge on Fridays ($2.49–$2.99 per pound). The orchard also offers home delivery online at collinsfamilyorchards.com.